Breakfast calls for a bowl of perfectly crispy, lightly sweet grain free and low carb granola! This paleo friendly breakfast will satisfy the most serious cereal craving without the gluten or grains. It sounds completely counterintuitive and at first it is. Granola is an oat–based food, or at least quinoa-based, but what happens when you take all of those grains and pseudo-grains out of the equation? Well, your breakfast becomes a lot heartier, but just as satisfying. Preheat the oven to 350F. Line a large baking sheet with a nonstick pad, parchment paper, or tinfoil coated with nonstick spray and set aside. In the bowl of a food processor fitted with the S attachment, pulse the nuts and seeds 5-6 times until broken down into bite-sided and smaller pieces. Transfer the nuts/seeds to a large mixing bowl and toss with the coconut, salt and cinnamon. In a small bowl, combine the almond butter, honey (or maple syrup) and coconut oil. Stir to combine. Pour the honey/nut butter/oil mixture over the nut mixture and stir until it is all evenly combined. You may need to use your hands to make sure all of the wet ingredients are incorporated. Pour the granola onto the prepared pan and press firmly into an even layer, about 1/2" thick. Bake for 25-35 minutes until golden brown. The longer baking time will yield crisper granola and vice versa. Allow to cool completely on the pan before serving or storing in an airtight container at room temperature for up to 2 weeks. If you are having trouble mixing the honey and almond butter together, heat it in the microwave (make sure you are using a heatproof bowl) for 15-30 seconds until softened. 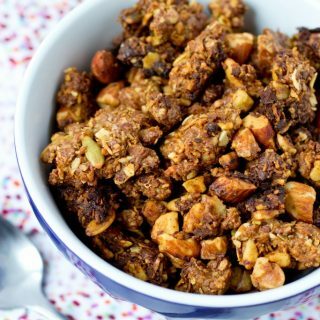 For extra texture and sweetness, you can toss the cooked and cooled granola with about 1/2-3/4 of a cup of your dried fruit of choice. 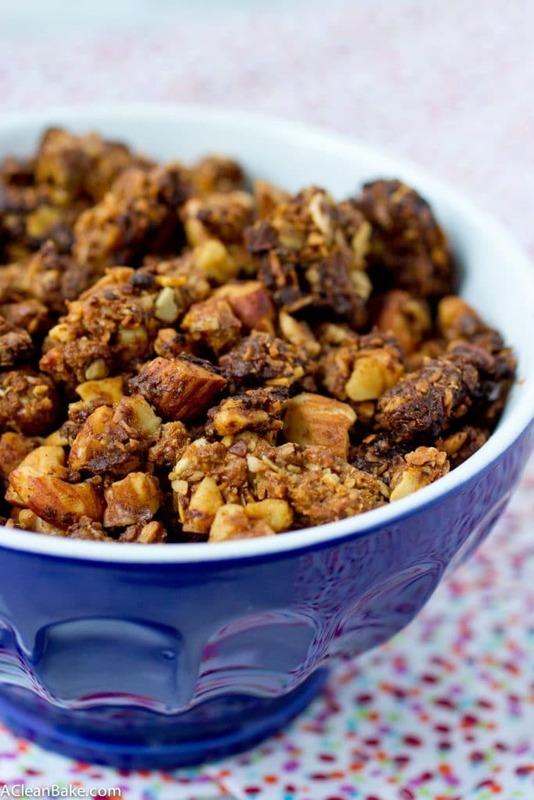 Granola with the grain….sounds good to me! I bet this is extra clustery because of all those nuts…which makes it extra delicious! Totally! The clusters are the best part! This looks great! 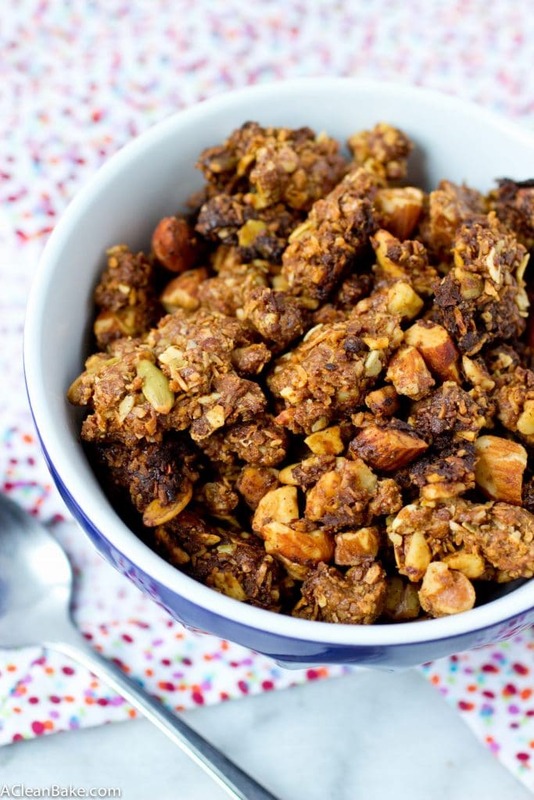 I have been wanting to make a grain-free granola, and yours is perfect. It would be so perfect in yogurt parfaits! I’ve been experimenting with granola a lot lately. I love this approach to eliminate the grains and celebrate the nuts. can’t wait to give it a try. This would be a fun one to incorporate into your granola research for sure. I hope you enjoy it! Monica, I have a confession: a reader came up with the name! I couldn’t figure out what to call it 🙂 So, I can’t take the credit, but the actual cereal is just as enjoyable as the name, I promise!! Hi there! 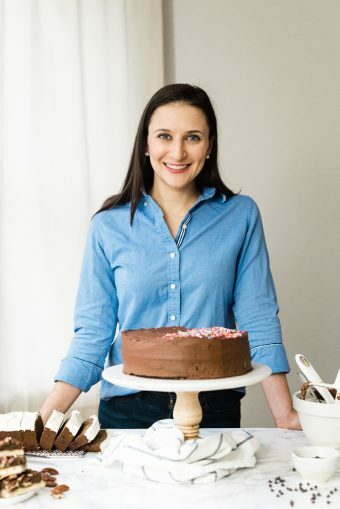 This is a great recipe! 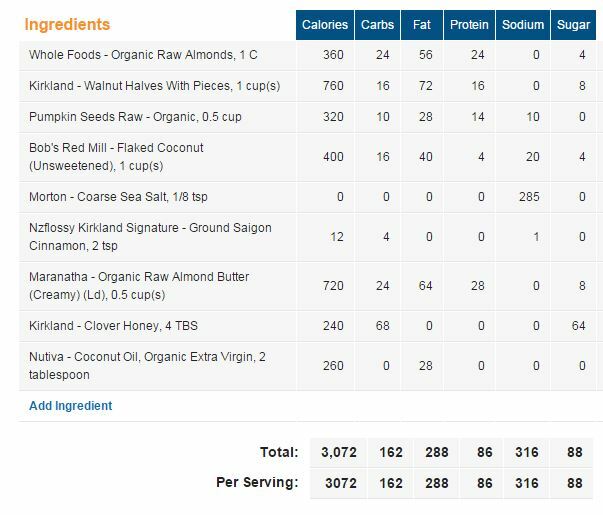 Do you have nutrition info for it? Wow! I’ve gotta try your recipe for granola, Nora. Thanks for sharing! I hope you like it, Stacy! Delicious! I soaked my nuts overnight. I also added cardomon spice.